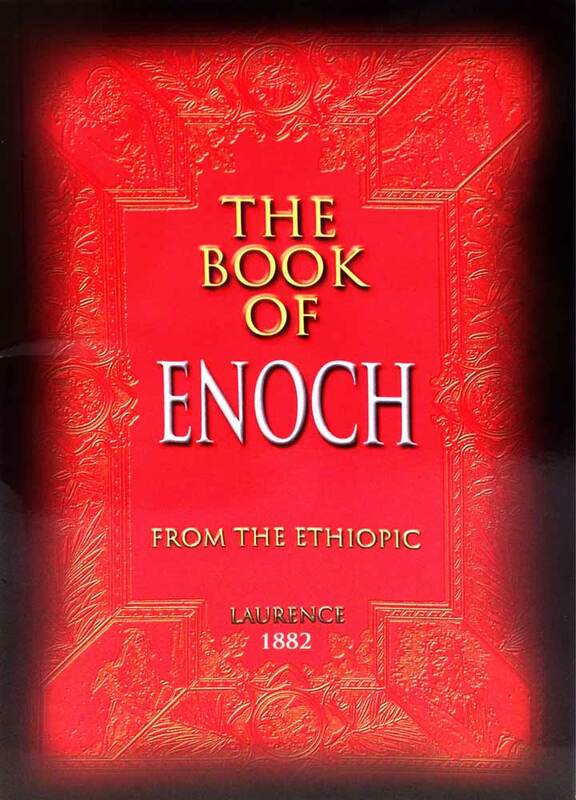 The Book of Enoch is now usually designated I Enoch to distinguish it from the later Apocalypse "The Secrets of Enoch" which is known as II Enoch. The former is called the Ethiopic Enoch the latter the Slavonic Enoch after the languages of the earliest versions extant of each respectively. 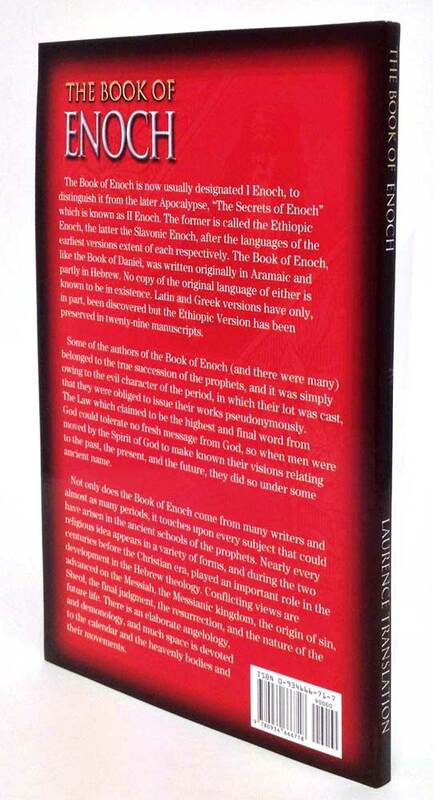 The Book of Enoch like the Book of Daniel was written originally in Aramaic and partly in Hebrew. No copy of the original language of either is known to be in existence. Latin and Greek versions have only in part been discovered but the Ethiopic Version has been preserved in twenty-nine manuscripts. The manuscript upon which this translation was made was found in Ethiopia in 1768 by the Scotsman James Bruce. . . .
. . . According to Canon R. H. Charles the various elements of which the Book of Enoch in its present form is made up belong to different dates. Thus one can expect a diversity of authorship and of this there can be no shadow of doubt. However while there is not unity of authorship there is none the less uniformity. 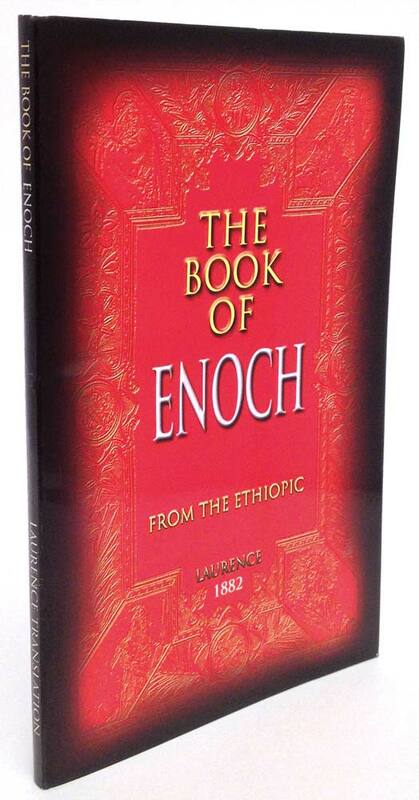 Several scholars suggest we should speak of the collection as the "Books" of Enoch not the ""Book" of Enoch. Some of the authors of the Book of Enoch (and there were many) belonged to the true succession of the prophets and it was simply owing to the evil character of the period in which their lot was cast that they were obliged to issue their works pseudonymously. The Law which claimed to be the highest and final word from God could tolerate no fresh message from God so when men were moved by the Spirit of God to make known their visions relating to the past the present and the future they did so under some ancient name. 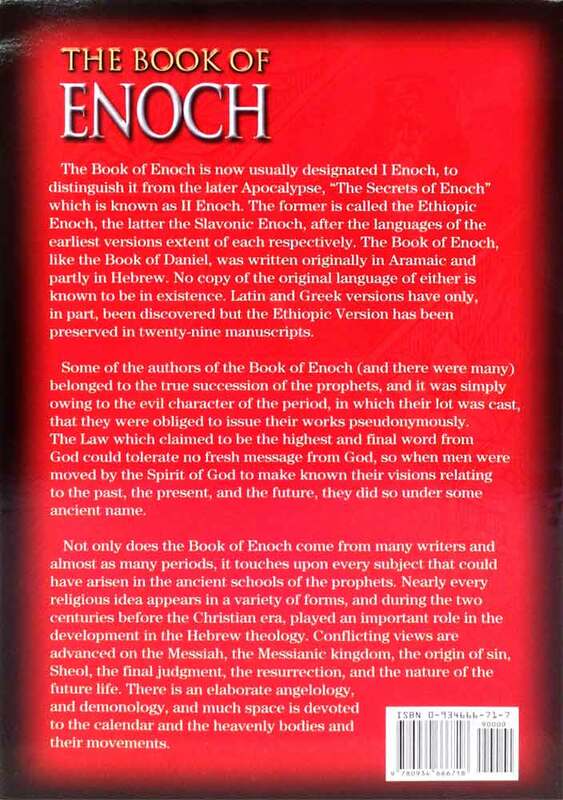 Not only does the Book of Enoch come from many writers and almost as many periods it touches upon every subject that could have arisen in the ancient schools of the prophets. Nearly every religious idea appears in a variety of forms and during the two centuries before the Christian era played an important role in the development in the Hebrew theology. Conflicting views are advanced on the Messiah the Messianic kingdom the origin of sin Sheol the final judgment the resurrection and the nature of the future life. There is an elaborate angelology and demonology and much space is devoted to the calendar and the heavenly bodies and their movements.THIS HAS BEEN THE MOST POPULAR AND RECOMMENDED VERSION BY BIBLICAL SCHOLARS FOR SOME THIRTY YEARS!